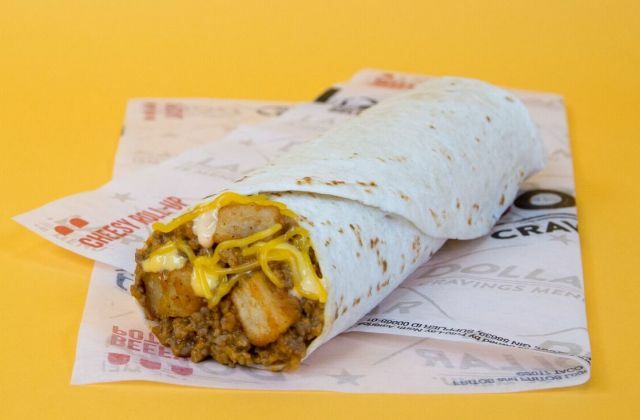 Taco Bell debuts the new $1 Beefy Potatorito as their latest limited-time menu item. The value-priced burrito features seasoned beef, shredded cheddar cheese, nacho cheese sauce, crispy potatoes, and chipotle sauce wrapped up in a warm flour tortilla. You can get the new burrito by itself for $1 or as part of a $5 Box along with a Doritos Locos Taco, a crunchy taco, and a medium drink.